We looked at 10. There are the best 2 Bill Gates biographies. We looked at 10 Bill Gates biographies, and these are the ones we recommend. Both are very good books for introducing your child to the founder of Microsoft and one of the richest people in the world. This is an easier book than the one above. 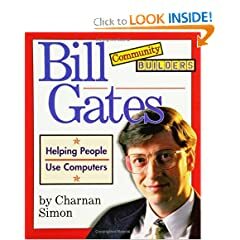 It covers the Bill Gates success story in only 42 pages. It has a lot of pictures. 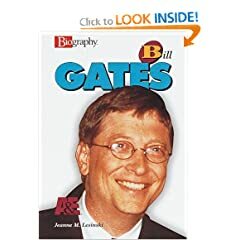 We also really like a juvenile biography called "Bill Gates and Microsoft" by David Marshall, but it's not in print.